Earth is threatened by humankind. A long time ago, in an effort to help protect her creation, Mother Nature created the Ohana, a worldwide league of shape-shifters, to restore and maintain the natural balance. During particularly troublesome times, she deployed her ultimate defense, a delicate yet powerful golden butterfly, to change the odds in nature’s favor. Blooming is the first audiobook in the trilogy about Jason Mendez, a 17-year-old living a normal teenage life in a small town in the American Midwest. One day, Jason’s world is turned upside down when he realizes the dream he had the night before was in fact reality and that he was flying through a nearby meadow. Jason is the Golden One, called upon to avert a major crisis threatening Earth. With no golden butterfly sighted since the final days of World War II, will Jason be able to walk in his predecessors’ shoes? Will he be able to replicate their historic achievements and save the planet from all-but-certain disaster? And what exactly is threatening Mother Nature to call upon the Golden One? What do you do when you find out you’re the chosen one, the one to save earth? What about when you realize your Ohana, who you should trust, can’t be trusted anymore? Jason’s world is turned upside down over night. To his surprise he goes from a boy that people don’t really notice and no friends, to someone who is now being talked about, has friends who would die for him, and has the weight of the world on his shoulders. This first part has a lot of story building and it’s a wonderful start to a new series. 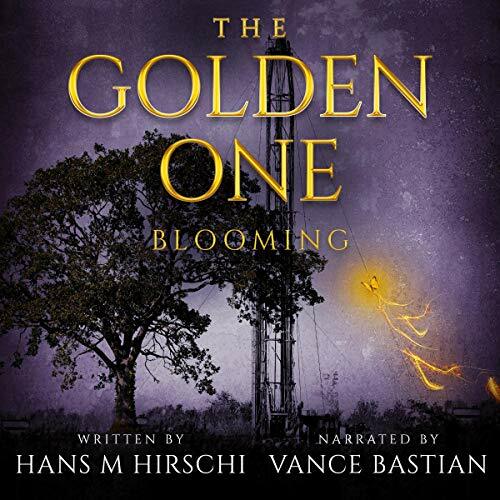 Hans M. Hirschi does a great job in captivating a believable and interesting YA fantasy. Vance Bastian really helps to bring the characters to life and portrays the seriousness of what’s happening. He changes his tones for the characters making it easy to follow along. It also helped with bringing the emotions out, especially at the very end. I really enjoyed this story and I’m anxiously waiting for the next one to see how Jason, the Golden One, and his true Ohana will help save Earth.